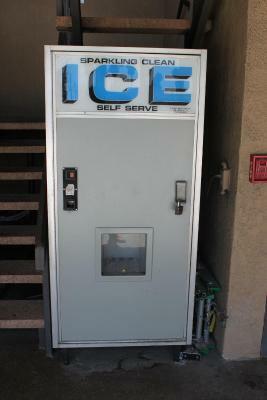 I liked that it had a fridge and microwave. I like the remodel but to much furniture. I really tried to find something to like but all I can say is, I'm just glad we survived and left the place before getting sick. Bed Comforable.... Coffeee Maker In Every Room. 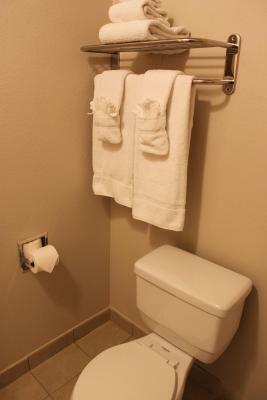 Quiet During Anytime... Have Any Issues Of Room The Front Desk Gladly Change You Room No Question Asked....:)!! There was no breakfast or Pool , But we were there to go watch baseball games. 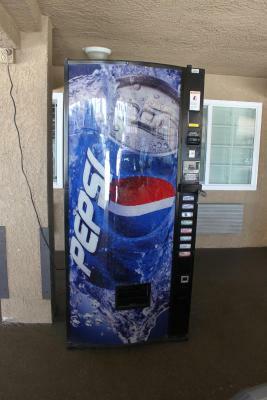 The amenities were not needed. Nothing!!!! The property was a dump! Never go there!!! Room was under some paint and repair situation. 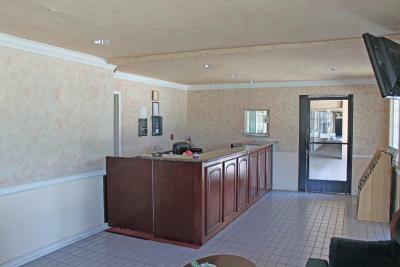 I know there were more rooms but to put someone in a room like that for 100.00 a night is unacceptable. Did not complain but will not be returning to this establishment. This hotel was very convenient for getting to LAX for an early flight. Orange Tustin Inn in Orange This rating is a reflection of how the property compares to the industry standard when it comes to price, facilities and services available. It's based on a self-evaluation by the property. Use this rating to help choose your stay! 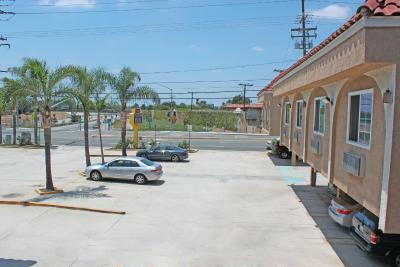 Located off Highway 22 and Highway 55, this hotel is just 10 minutes from Disneyland and the Anaheim Convention Center. 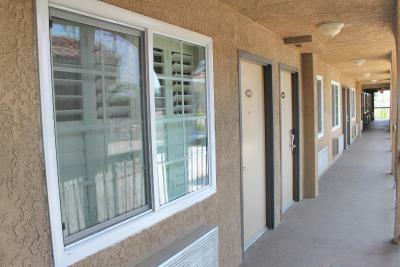 It offers rooms with private entrances and free Wi-Fi. 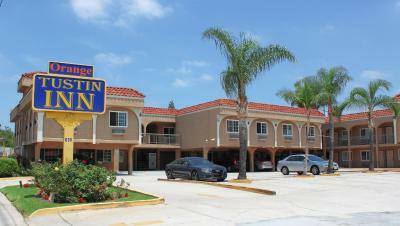 Each accommodation at the Orange Tustin Inn is equipped with cable TV and the HBO channel. 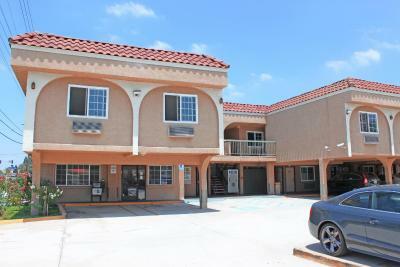 They are furnished with a microwave and refrigerator. Local calls are free. 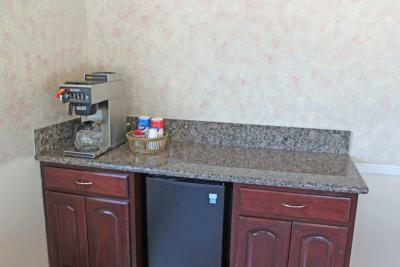 The front desk of this Orange hotel is open 24 hours a day and guest laundry facilities are located on site. Free parking is available. 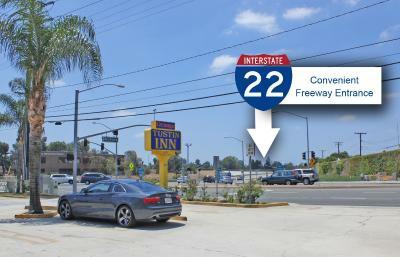 Angel Stadium is 5 miles from Orange Tustin Inn in Orange. 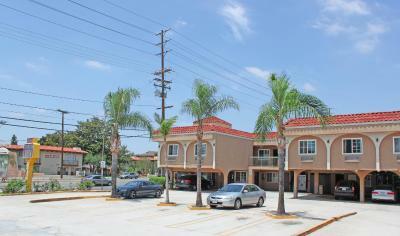 The John Wayne Airport is less than 20 minutes from the property. 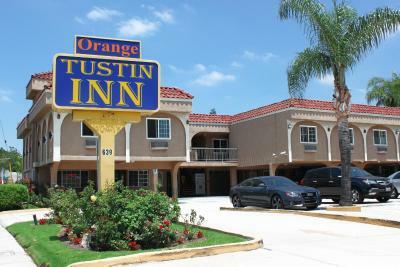 When would you like to stay at Orange Tustin Inn in Orange? 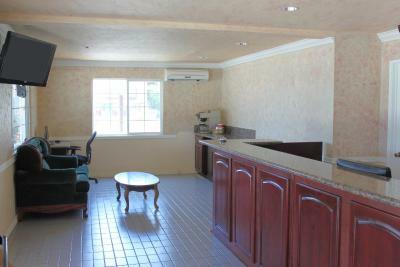 This room includes a flat-screen cable TV, microwave and refrigerator. 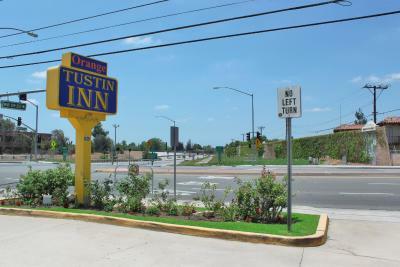 House Rules Orange Tustin Inn in Orange takes special requests – add in the next step! 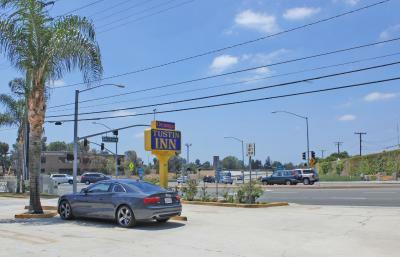 Orange Tustin Inn in Orange accepts these cards and reserves the right to temporarily hold an amount prior to arrival. TV in first room not working. We're switched to a dark room, had to go ask for additional pillow as only 3 per room. No hair dryer in bathroom. Was told they had no hair dryers. Housekeeping found an old dryer. Will never stay or recommend this hotel even for value of money. No breakfast. Older motel. Not very nice, seemed kind of run down. Thin walls, could hear next room. I felt that the facility needed upgrades.. and that other tenates look like they live there permanently .. also it says it has balcony’s but, it doesn’t . Well the first night the air conditioning didnt work but they accomadated me with another room the next night but the rooms pillowcases had mascara on them so that made me wonder. 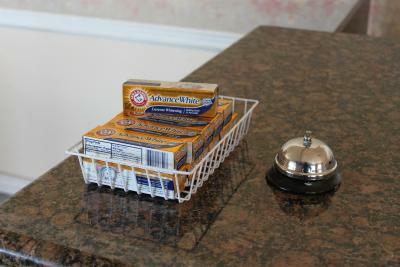 Friendly staff in the front desk! The information on the shuttle was not as clear as we needed. It only runs from 4am on. An earlier shuttle would cost $12.